NaCOT will be offering a rotation of visiting storytellers providing regular immersion in narrative, and imagery. The session will be delivered by experienced storytellers, well used to working with Key Stages 1 & 2. A regular story session in which a NaCOT storyteller works with children to create and develop their own oracy through the exploration of objects, collections, or story sacks. Each session ends with a story from the classics. If secondary schools show interest in public speaking work but pressures of the National Curriculum preclude its take up, we will consider the creation of “Speaker’s Club” in secondary schools as part of our Extended School Day offerings. Surveys amongst adults often reveal public speaking as their greatest fear, greater even than the fear of death! Both NaCOT and Contender Charlie passionately believe that this astonishing lack of willingness to speak in public damages our public discourse. It also deprives our children of their democratic birthright and their voice in society. We will be offering a series of public speaking workshops for children at all Key Stages. A story-based offering aimed at creating the interactions necessary to help children develop the essential skills of oracy without neglecting the demands of the National Curriculum. Building both confidence and the skills of oracy, this story-based session allows children to explore voice and presence in constructive and encouraging ways. Key Stage Three: Speaking up and Speaking Out. 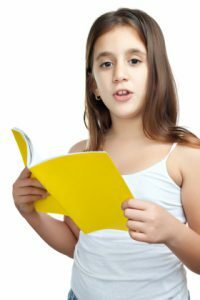 An enjoyable story-based session for 11-13yr olds which seeks to build self-esteem and competence in public speaking whilst promoting qualities such as clarity, projection, good diction and traditional ‘eloquence’. Enhancing participants’ public speaking and conversational skills by working with groups of the “Gifted & Talented” , Lippy & Sparky” (potentially disruptive non-academics with drive and character), “Young Leaders” and “The Silent Minority” comprised of the quiet, the reserved and the withdrawn. In association with experienced storytellers such as Michael Harvey, NaCOT will be offering storytelling of the highest caliber, drawn from the world’s great cultures. Sessions can be tailor made in consultation with teachers to suit current themes, projects or events in class, or left to the storyteller’s choice. Enjoyable and experiential events tailored to the needs of the school (or group of schools) as either full or half day offerings. Nearly one in ten of boys arriving at secondary school has not reached level three in reading, the standard expected of seven year olds. Boys have different learning styles to girls and their needs are often not catered to in ‘feminised’ classrooms – their behaviours are often deemed disruptive or unruly, ensuring that they under-achieve. 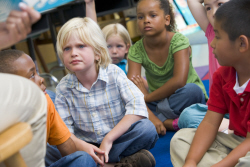 Also some children, often boys, are unable to communicate verbally to a proficient level and without a foundation of good oracy, any attempt at advancing literacy will be less likely to succeed. 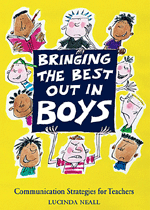 In collaboration with Lucinda Neall, author of Bringing the Best Out in Boys: Communications Strategies for Teachers, NaCOT will be offering a special interactive INSET Day for teachers on this important and emotive subject. A highly experiential day exploring storytelling in the classroom (as opposed to reading in class), covering all aspects from anecdote and parable to the delivery of classic wonder tales. The aim is to encourage skills and explore strategies whilst re-evaluating oracy as a key component of modern education. This programme was specifically developed to ‘polish’ public speaking skills and looks at presence, relaxation and classroom manner. It uses an archetypal model to examine different ways of being and preferred ways of speaking in public with the goal of giving participants increased choices in the ways they address and manage groups of any size. In collaboration with Contender Charlie, this course uses the story of Theseus and the Minotaur to look at how staff can negotiate the labyrinth of their own job demands to achieve a fulfilling and manageable balance in their work and life. Through many years of working with schools and their leaders, we have become acutely aware that – while they decry the need – many teachers have never received any practical lessons in how to speak publicly. 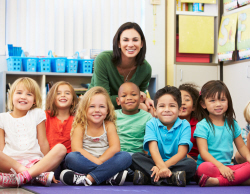 NaCOT provides coaching in voice, presence, projection and assertiveness to individual teachers and small groups who might be deemed to need help in these areas. NaCOT, Courtyard House, Moynes Court, Mathern, NrChepstow, NP16 6HZ.